This is an incredible story of life, death, disability, and the power of an innocent child to bring people unity, hope and peace. Chloe Kondrich, a teenager with Down syndrome, has won worldwide acclaim for her advocacy efforts on behalf of children with disabilities. Chloe’s father, Kurt, left his job in law enforcement to join Chloe in her advocacy efforts. A decade ago, Kurt lost a close friend when a fellow Pittsburgh police officer, Paul Sciullo, was among a trio of officers killed in an ambush. The loss was devastating to the community and to Kurt personally. When he took Chloe to her appointments at Children’s Hospital, he would stop at a nearby cemetery where Officer Sciullo was buried. There, Chloe formed a bond with the fallen officer, whose photograph adorns his tombstone. The parents started to cry. Unbeknownst to the Kondrich family, 43 years earlier, the Sciullos had miscarried a baby. He was a boy, and the Sciullos had discussed naming him David. As Kurt remarks, “I don’t know what I did right to be given a daughter as awesome as this.” Chloe shined a very bright light in the darkest valley for the Sciullo family, and her father believes she proved that unborn children who die in the womb are in Heaven. Yet, Kurt lives with the daily reality that children such as Chloe are truly endangered. That is because of the high abortion rate for unborn babies who have been diagnosed with Down syndrome. It is estimated that the vast majority of parents who receive a prenatal Down syndrome diagnosis choose abortion. Kurt believes many individuals simply do not know the abilities of children with Down syndrome. Nor do they realize the resources that are available to them. The absence of knowledge leads to unnecessary barriers to inclusion and causes discrimination against those with an extra chromosome. To address this pressing issue, the Kondrich’s were instrumental in passing Chloe’s Law, a Pennsylvania statute which provides positive information and support to parents who have received a prenatal Down syndrome diagnosis. The Kondrich family is now advocating for legislation that would protect children with Down syndrome from abortion in Pennsylvania. The bill passed the Pennsylvania House of Representatives by an overwhelming, bipartisan, veto-proof majority last year, but stalled in the Senate. House Speaker Mike Turzai (R—Allegheny County) and Rep. Kate Klunk (R—York County) have announced plans to introduce a similar bill this year. At a news conference at the state Capitol, Rep. Klunk spoke eloquently of the profound gift represented by children with Down syndrome. And in a news release announcing plans to introduce the bill, Rep. Klunk stated, “We have a responsibility to protect those who don’t have a voice. We have a responsibility to stand up against eugenics. And, we have a responsibility to stand up to say that a baby with Down syndrome has a right to life and should not be discriminated against in the womb. “Individuals with Down syndrome live lives full of dignity, value and love. We must embrace these loveable human beings for the amazing individuals they are and not allow policies that erase them from existence. They are truly lives worth living,” Rep. Klunk said. Meanwhile, at a media event last year, Speaker Turzai said, “We’re raising the concern in Pennsylvania because of some tragic trends in European countries. In Iceland, they’ve become notorious for the claim that Down syndrome has been nearly eliminated. What they fail to mention is that Iceland has a 100 percent abortion rate of pre-born children with this diagnosis. “I believe in the dignity of every human being. None of us are born perfect, and we all have something beautiful to contribute. Pennsylvania is a loving, compassionate community, and we want to extend welcome and support to Down syndrome families. They need to know they’re not alone,” Speaker Turzai added. For the Kondrich family, the legislative effort is part of a personal crusade to show the world that every life matters—including the lives of the most vulnerable. The goal is to restore a culture of Life where people “Embrace don’t erase” Down syndrome and end this prenatal genocide which is the ultimate extreme form of prejudice, discrimination, profiling, bigotry, and hate on innocent human beings who commit no acts of evil or violence. 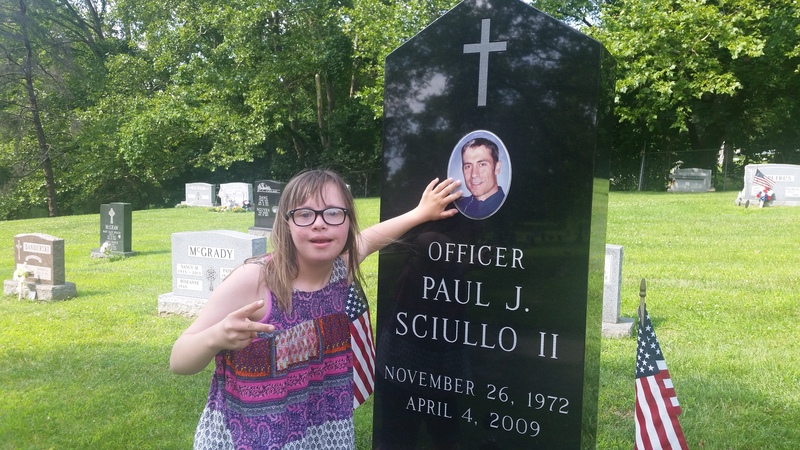 This entry was posted in General and tagged Down Syndrome, Paul Sciullo, police by maria. Bookmark the permalink.